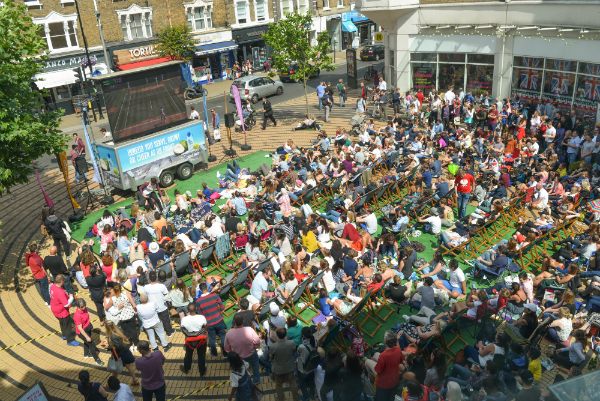 The Piazza is situated in the heart of Wimbledon Town Centre and provides an ideal outdoor space for experiential marketing and promotion. The Piazza is the ‘entrance’ to a busy network of leisure, retail and café brands: Morrisons supermarket, Odeon Cinema, Nuffield Health, Patisserie Valerie, Bill’s and Wahaca. It is the heart of the Wimbledon SW19 community and is a social, engaging space for visitors to the town. 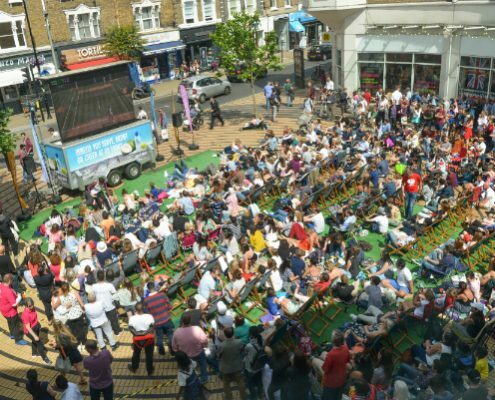 Love Wimbledon BID organises fun and footfall-driving events and festivals on The Piazza including; Big Screen Tennis, Autumn Arts, Winter Wonderland, children’s trails, live music, Christmas Market and monthly markets. With major UK players’ headquarters based here including CIPD, LidlUK, Rymans, Capsticks, Close Brothers, Club Med and Kindred, Wimbledon has over 15,000 office workers, and is a safe and easily accessible alternative to other London centres. The mix of office space, residential and retail with cultural and leisure facilities makes for a popular and busy town centre, which has a footfall of approx. 13 million per year and the 21st busiest train station in the country. Charity and non-profit discounted rates available.